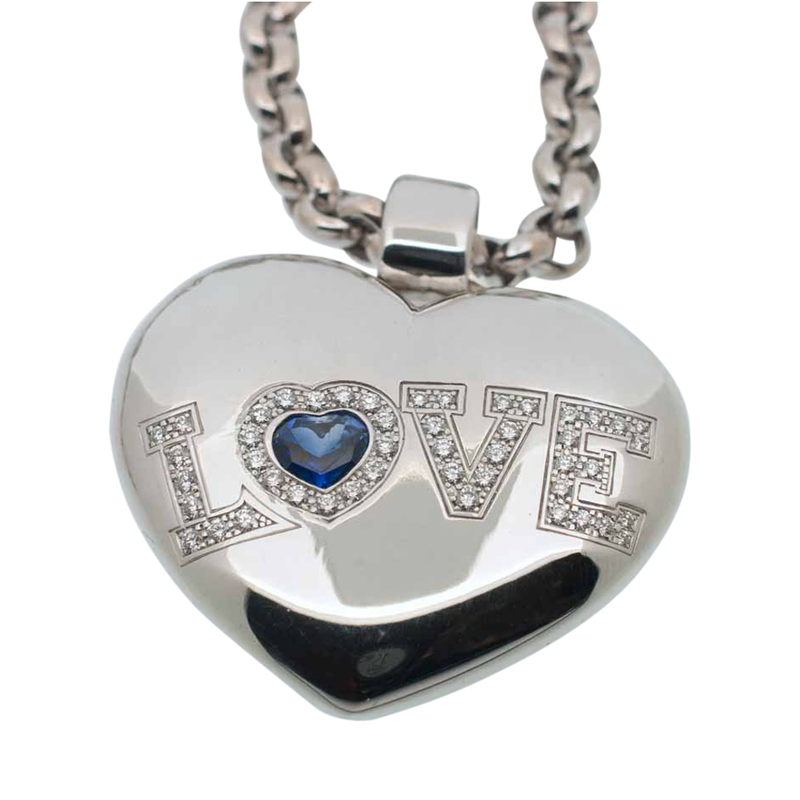 Large Chopard LOVE pendant set with sapphire and diamonds in 18ct white gold; the heart measures 4cms wide x 4cms deep and has the word “Love” set in brilliant cut diamonds across the front; total diamond weight 0.62ct. 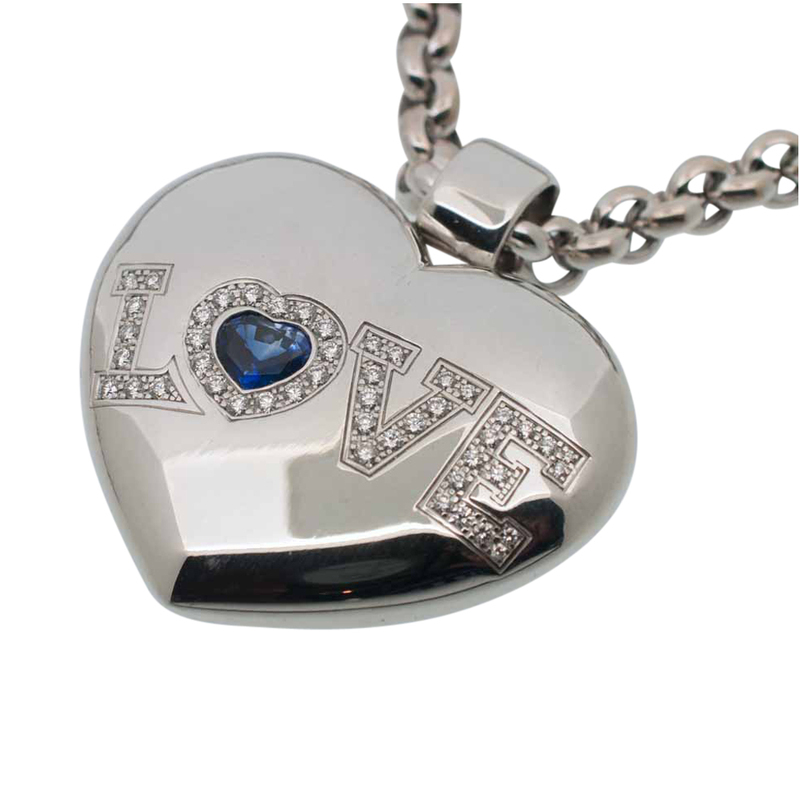 The letter “O” is heart shaped and is set with a heart shaped blue sapphire weighing 0.77ct inside. 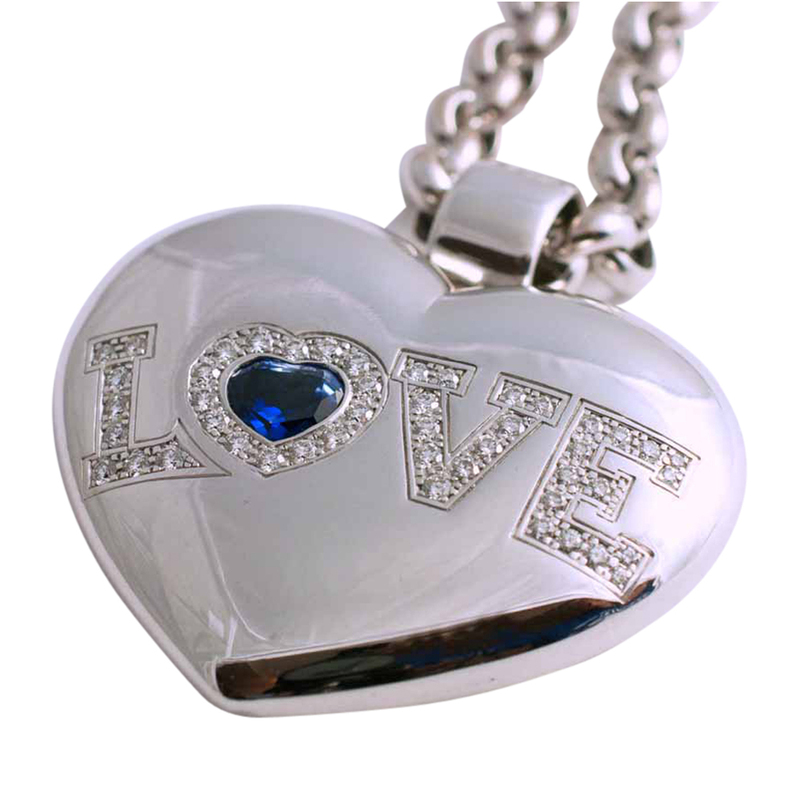 Weight of heart, 26.7gms. 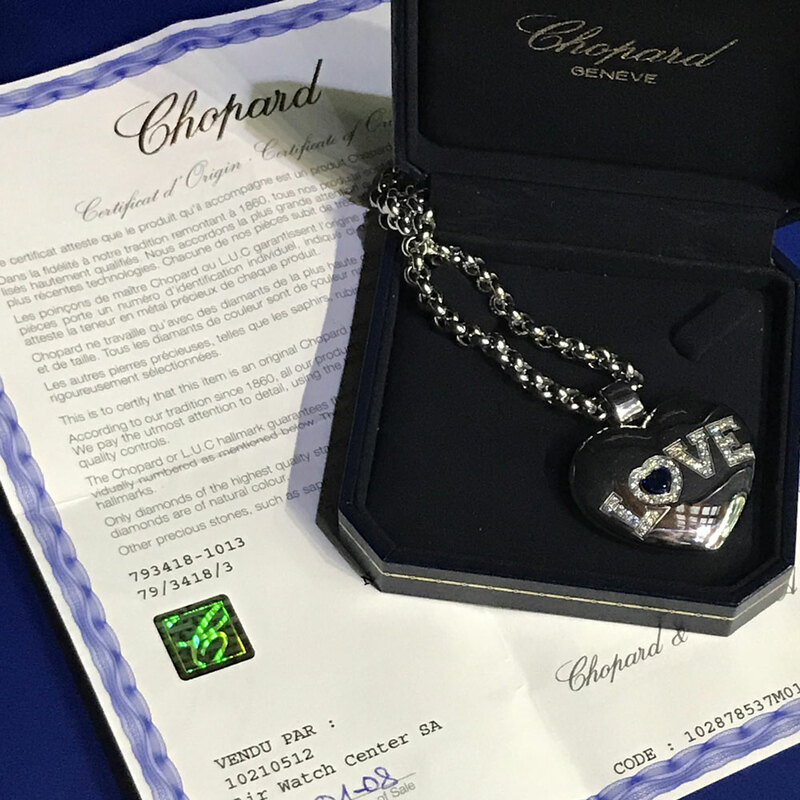 The reverse is signed Chopard in two places, numbered and has a faint 750 gold mark for 18ct gold. 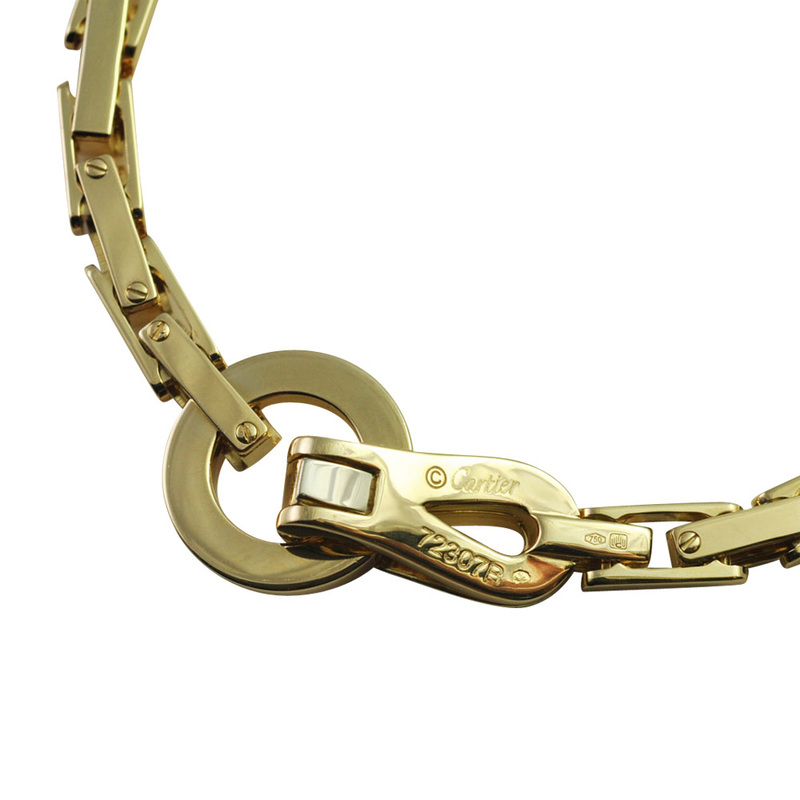 It is fixed with an articulated bale. 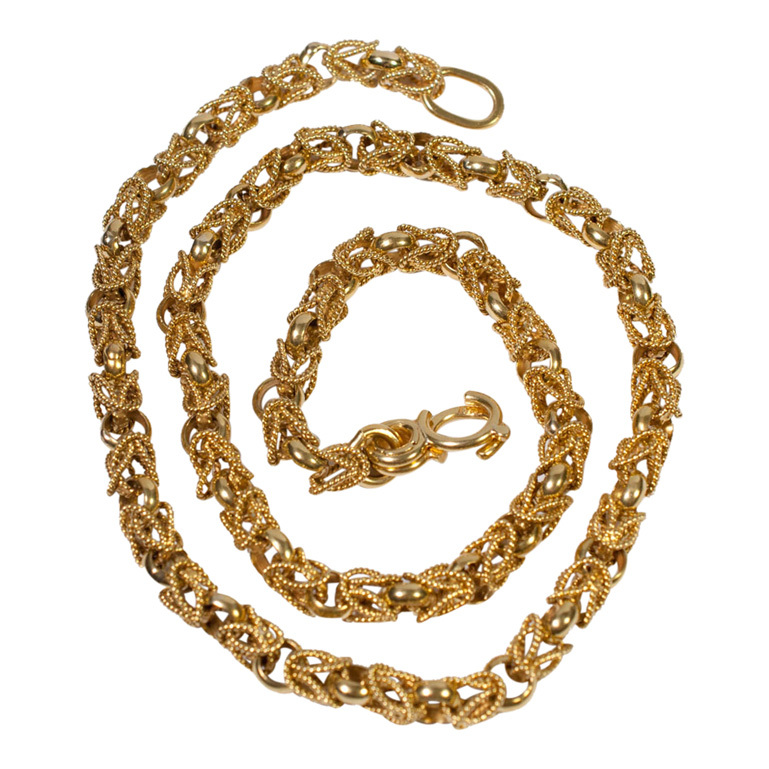 The chain is detachable and in 18ct white gold; width 5.5mm, weight 36.4gms, length 60cms, is signed Chopard, 750 and closes with a solid lobster claw clasp which is working perfectly. 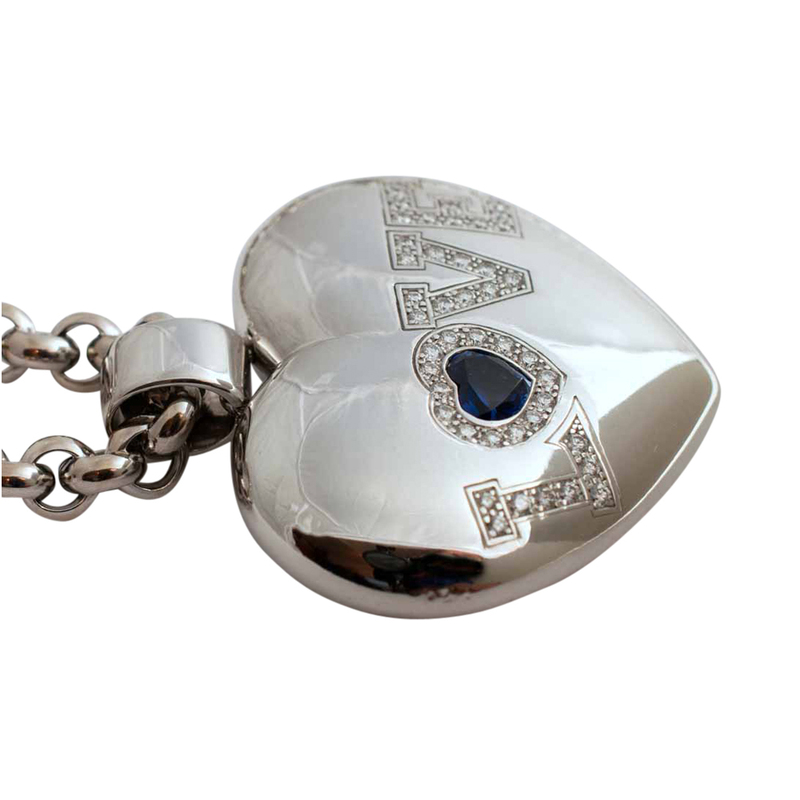 This pendant is in excellent condition and is a really dramatic piece of jewellery which can be worn either formally or casually. 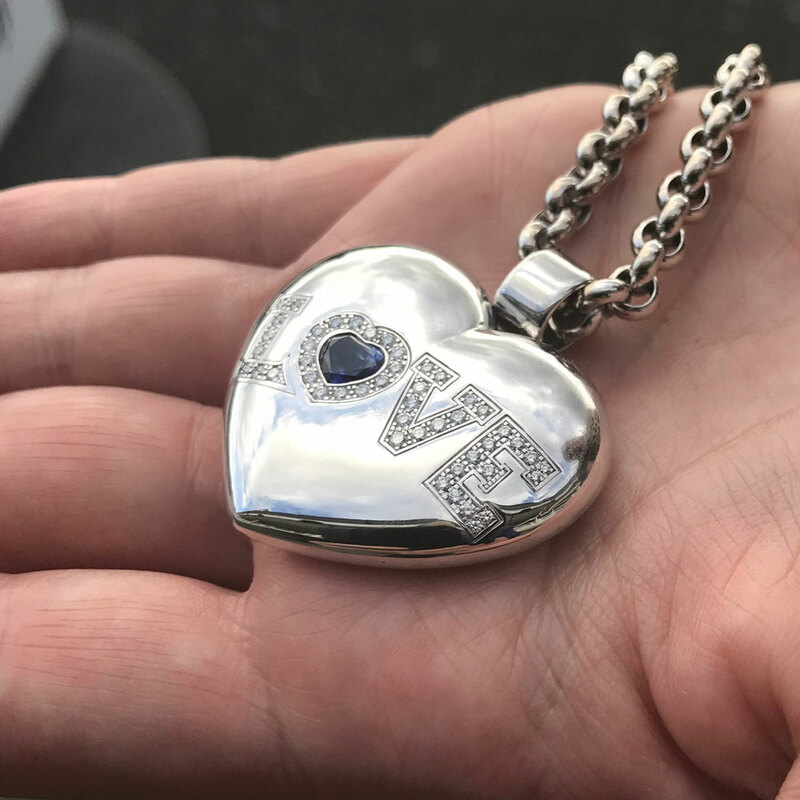 This lovely pendant was originally purchased in Geneva in 2008 and is supplied with its original paperwork, certificate of authenticity and presentation box. 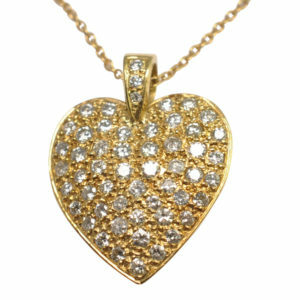 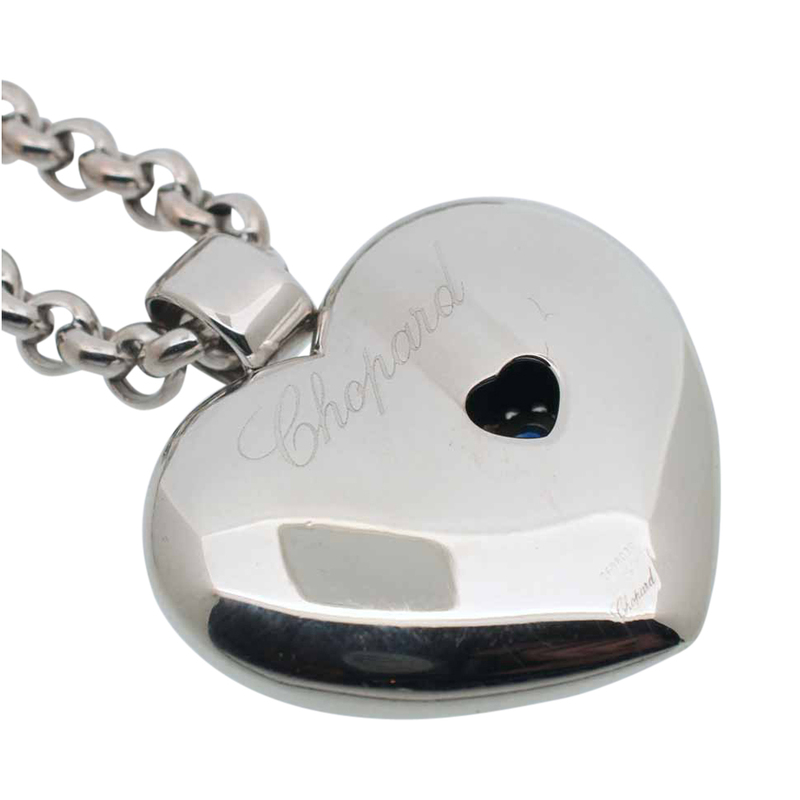 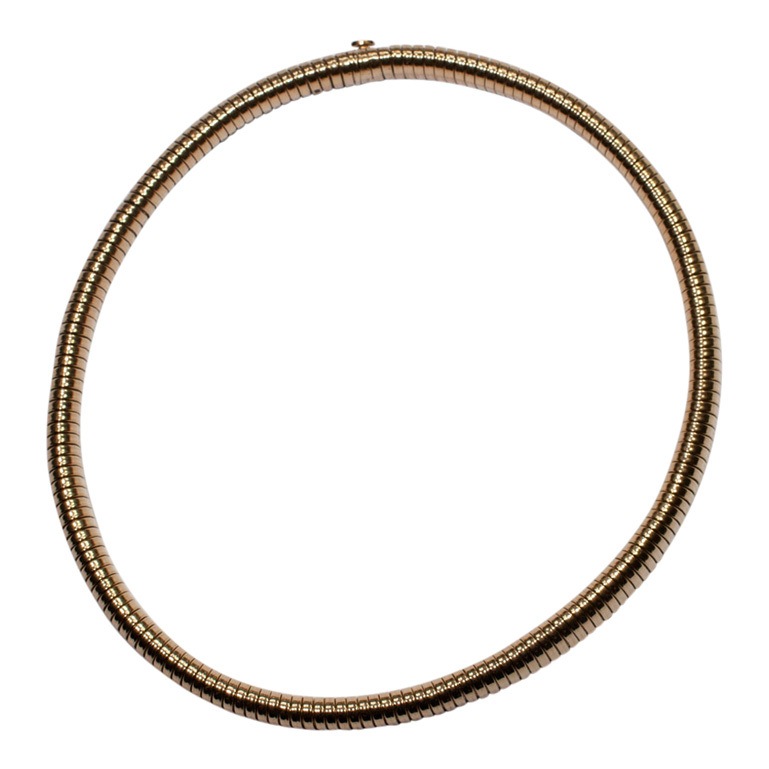 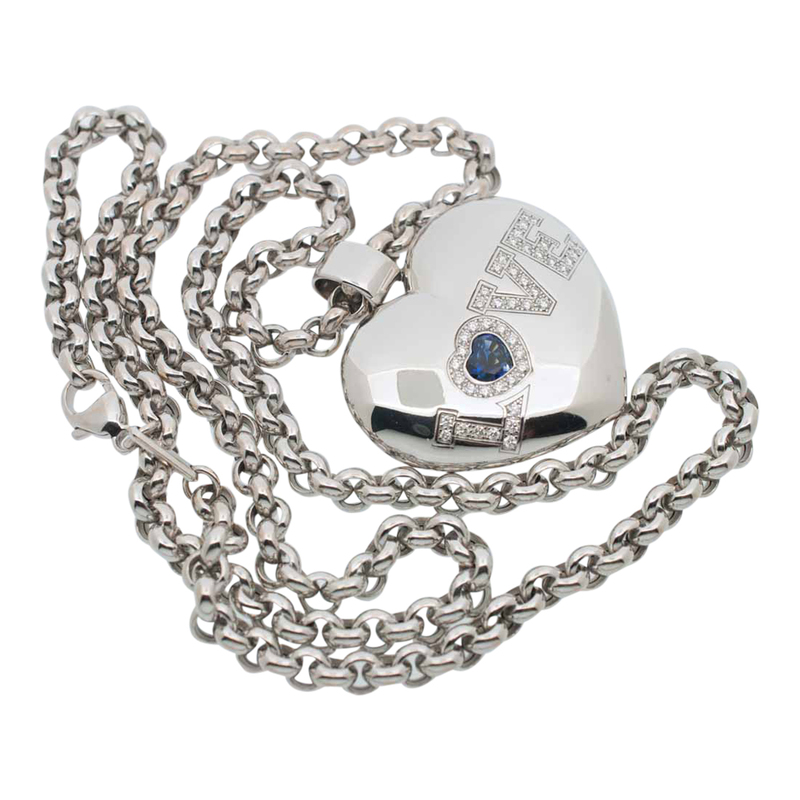 SKU: E114 Category: Necklaces and Pendants Archive Brand: Chopard.